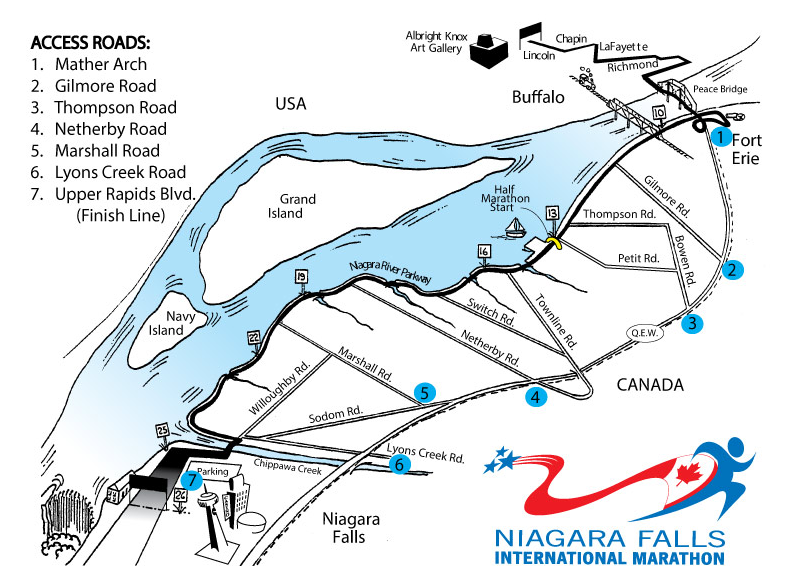 The First Annual Buffalo to Niagara Skylon International Marathon took place on Saturday, October 26th , 1974. It was a great success right away. The organizers were very excited about the number of participants and the publicity that the sponsor Skylon Tower got. The Marathon quickly became a favorite and by 1976 it attracted more than 3,000 runners, surpassing the New York and Boston marathons in that same year. In 1977 the race was renamed the Skylon International Marathon until 1985 when the name was changed to the Buffalo / Niagara Falls International Marathon. In 1980 and 1984 the course was used for the men’s US Olympic marathon trials. Anthony Sandoval set a course record with a time of 2:10:19 in 1980 during the US Olympics trials race which has yet to be beaten. In 1985 there was a special “Peace Bridge Trophy” which was presented to the first man and first woman to step foot in Canada. The Marathon ceased to exist after 1986 due to lack of sponsorship however the race continued in the US under the name Buffalo Marathon…a race that continues to this day. The marathon was revived in 1998 under the new name Casino Niagara International Marathon with Casino Niagara as the title sponsor. A half marathon was established in 2001, drawing additional participants to the race. The half marathon also offers a walking division. Nicole Stevenson set a course record for women in 2004 with a time of 2:37:08 which has also yet to be beaten. 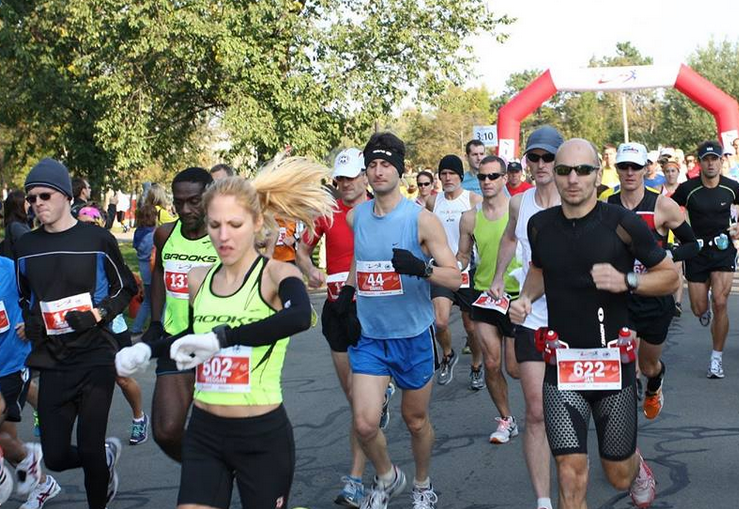 Voted one of the most scenic marathons in Canada and the #1 such event in Ontario with a marathon that starts in one country and finishes in another, the Niagara Falls International Marathon continues to grow with participants in recent years exceeding 6,000. Unlike earlier years, the majority or 61.46% of runners in all events are now female compared to 38.54% male runners. Athletes from more than 36 countries around the world run in all events.